If you stop drinking you probably won't get any more hangovers! Pills, tablets, drinks, devices, etc. 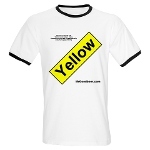 These shirts come with instructions printed on them; yellow in front, brown in back (just like your underware). If you are proud of your hangover, tell everyone with these shirts!